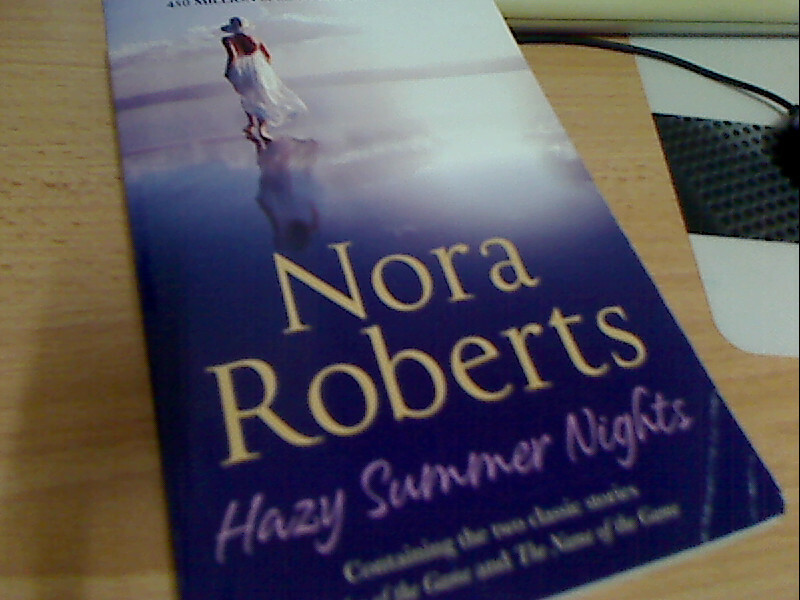 Contains two Nora Roberts novels originally published in the 1980s. Rules of the Game features Brooke Gordon who directs advertising and wants to get into bigger things. Her latest project involves Parks Jones, a baseball hero with a big ego. She's determined not to get involved, he's determined to explore his attraction to her. This is a sweet story, she's got issues and he just deals with them in very great ways. He notices things about her and tries to make her comfortable and when she falters he's there to pick her up. A charming story. The Name of the Game is about Johanna Patterson who has grown up with show biz and distrusts almost everyone in the game. When Sam Weaver appears on her game show he decides that she would be an interesting person to date, he overcomes her reluctance slowly and with a lot of charm. Another solid romance with some great characters. While I like Nora Roberts for her books such as The Circle Trilogy and Signs of The Seven Trilogy, it cannot be doubted and denied that she is quite well known for her romance titles as well. Unfortunately, I am not a fan of romance so I don't really appreciate such titles and Hazy Summer Nights is no different. It would be nice if she infused the story with some thrilling plots but both stories in Hazy Summer Nights are pure romance. I can't say I have a preference in either of the titles having spent very little time on them. But as romances go, they are quite nice. I should go back to her titles such as Angel's Fall and Birthright. Now, these are mighty fine titles that's worth re-reading.